Walter P. Reuther Library Agbayani Village dedication speakers, June 1974. Agbayani Village dedication speakers, June 1974. 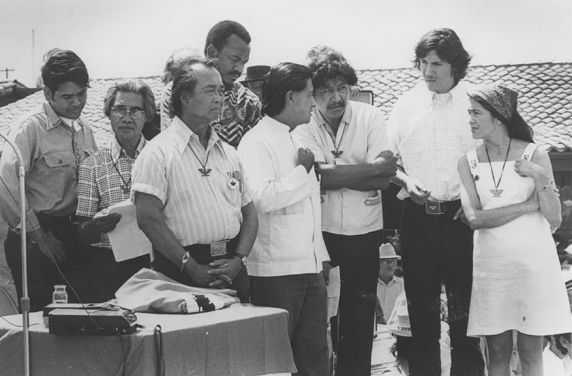 Cesar Chavez and Dolores Huerta speak to each other on stage at the Agbayani Village dedication. Standing with them are (l to r): Eliseo Medina, Philip Vera Cruz, Pete Velasco, Mack Lyons, Richard Chavez, and unknown.